Cross-platform vs. Native Mobile App Development - What’s The Difference and Which To Choose? Mobile Cross-platform App vs Native App – What’s The Difference in Development and Which One is Better? The mobile apps market keeps growing and it is unlikely that anything will significantly change in the coming years. At the same time, 99% of all smartphones in the world work on one of two platforms – iOS or Android. Entrepreneurs, start-uppers and independent developers produce hundreds of apps in a variety of niches every day. However, anyone who is going to develop a mobile app faces the need to choose between one of two options – native or cross-platform development. Both approaches differ in a number of features. 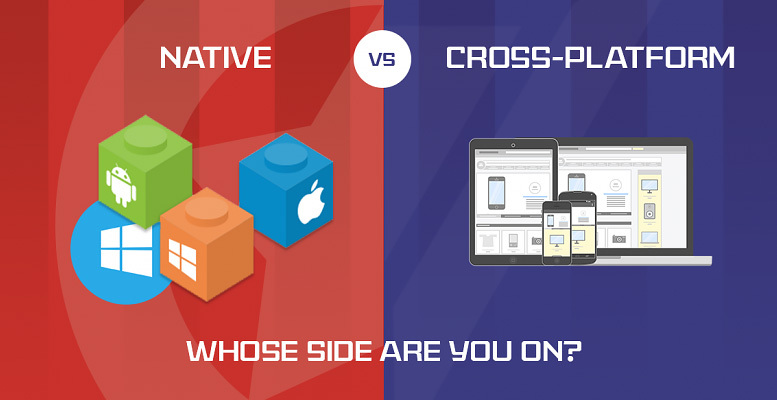 In this article, we will tell you the difference between native and cross-platform apps, their advantages and disadvantages, and what option is better to choose in a particular situation. The simplest example of native apps is this – they are the ones you encounter on the first day of using the device. That is the browser, calendar, mail client, alarm clock and other basic programs. Native development uses programming languages and development tools that are “native” to a particular operating system. For example, that is Objective-C and Swift for iOS, and Java and Kotlin for Android. Such apps are initially developed to create a product that will work exclusively on the target platform. High level of integration with the platform – development is carried out using technologies recommended by a particular operating system’s developers. You will need to monitor applications for both platforms, which requires more time and resources for technical support. Cross-platform apps are developed using special tools (Unity, PhoneGap, Xamarin) that allow you to create source code, most of which is then re-used to compile the solution for a separate operating system. The most promising technology for mobile apps’ cross-platform development is Xamarin. High launching speed and reduced updates cost. In terms of today’s market, this is a very weighty argument. There may be limited access to the platform’s unique features and device’s functionality. In most cases, these disadvantages are irrelevant if the project is being developed by high-skilled professionals. For example, Xamarin allows you to easily interact with the necessary device function’s API-interface app. What should you choose for your project? Each of these options has its pros and cons. 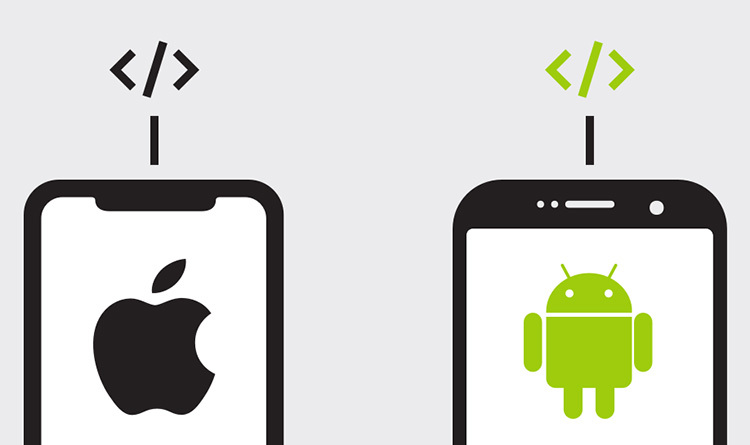 The choice between cross-platform and native development should be made depending on the required functionality and the app’s implementation area. It is impossible to give a universal answer to the question “which is better?” since each case is individual. From a technical point of view, and if you consider it in terms of the user experience priority, native apps have more advantages. However, there are quite a few situations where the more appropriate choice is a cross-platform solution. The product must provide the highest possible quality of user experience. You need to make a client app for a website (or other product) which does not involve complex functionality. Remember that you never know how things will be moving, and it’s always worth thinking about the strategy in terms of a long-term perspective. If you are faced with a choice of technology or you have doubts concerning your choice, you can always seek our specialists’ advice. Write to us and we will be happy to help you!